AH! 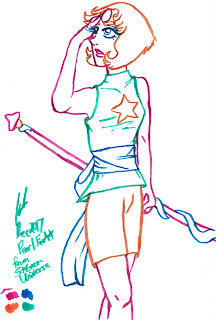 I love Pearl. 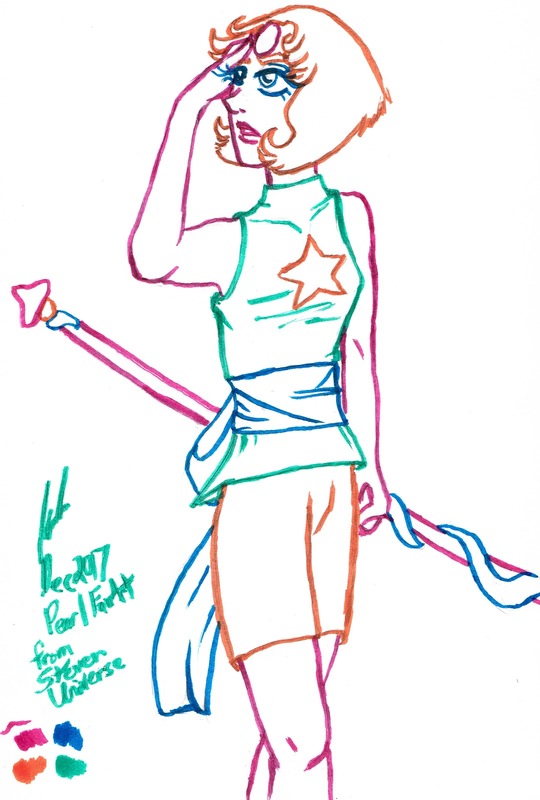 And all of Steven Universe, really. But I really like how cute this looks in rainbow ink. I used brush pens here. BUT... I also inked this while standing with my big easel. It was very interesting since this drawing is in my mini sketchbook. I had to straddle the easel a little so I could get close enough to the sketchbook. That's why some of the lines are super wiggly. Good learning experience. Will definitely try both the rainbow inking technique as well as the stand-up easel again.